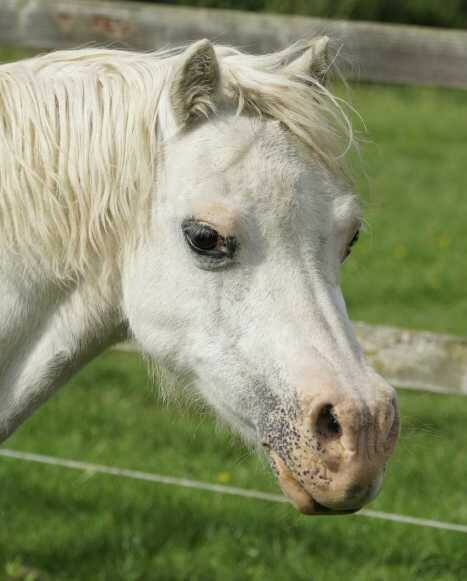 KP is a funny little character with her boggle eyes and wild expression but she is really quite a sweet natured pony. She always seems to find herself at the bottom of the pecking order and the others will tend to pick on her a bit. KP has developed a habit of pulling sour faces at others but this is more of a protective strategy than having any real meaning. Beauty is in the eye of the beholder and many an ugly duckling has a beautiful swan lurking underneath! KP is a good pony to handle and she deserves to find a quiet home to live out the rest of her days. KP is a quiet little pony who tends to get bullied by the others. KP was originally brought into our care in 2005 after her owner passed away and she had nobody to care for her. She had been out on loan but was returned due to a change in circumstnces of her rehomer.